At Kruse Village, our goal is to serve the healthcare and lifestyle needs of seniors and others throughout the Hill Country, South Texas Plains and the Gulf Coast, including Greater Houston. 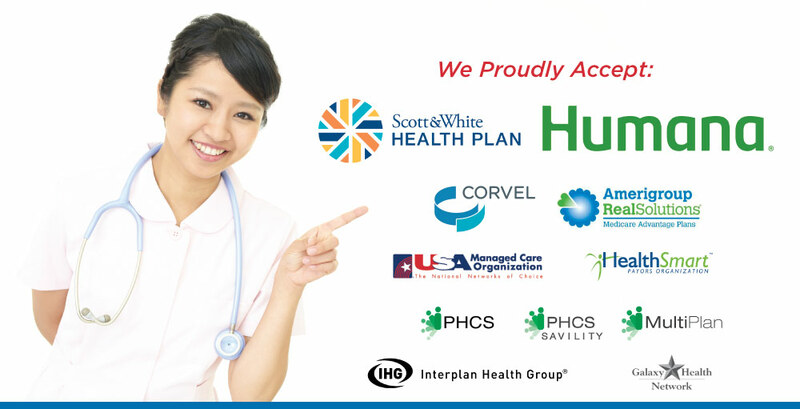 We are committed to working with a wide variety of insurance providers to facilitate comprehensive and trouble-free coverage to those with post-hospital and long-term care needs. We are pleased to announce the addition of Humana and Scott & White to our growing list of providers accepted in our award-winning rehabilitation and skilled nursing programs.